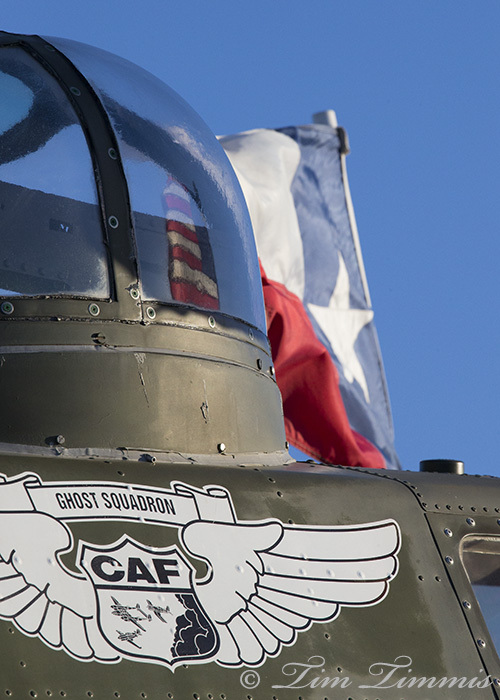 Flags can make some interesting photo op’s at airshows. 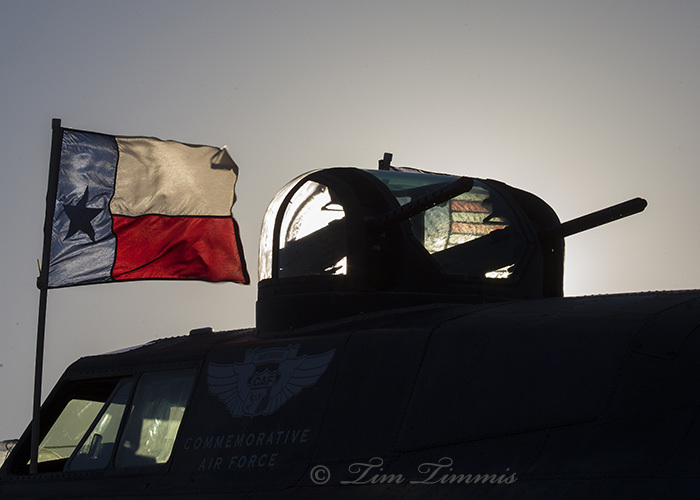 This year at Wings Over Houston, this B17 Flying Fortress attracted my eye with the Texas and US flags waving in the wind as the sun was coming up. 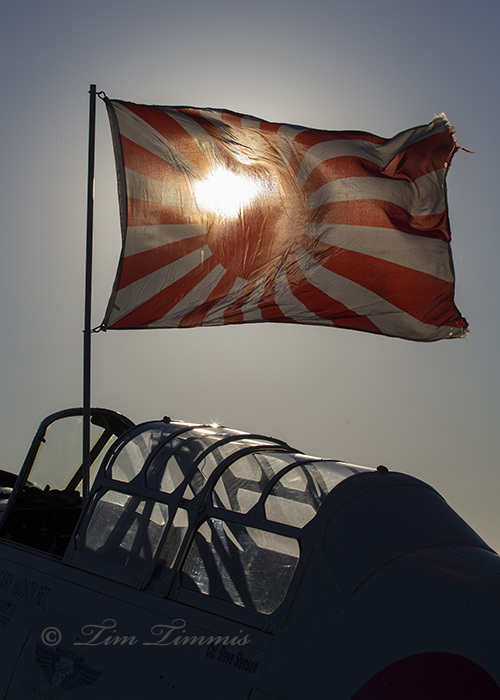 In the first photo, the US flag is directly behind the turret, along with the sun. In the second shot, the US flag is reflecting in the turret.